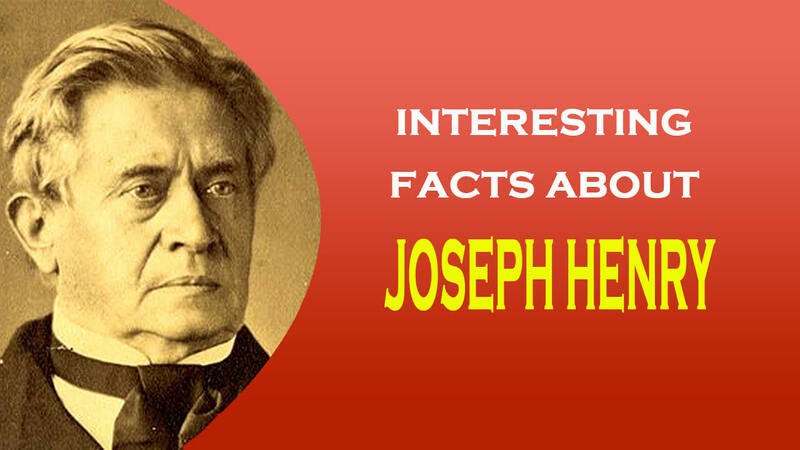 Joseph Henry (1797-1878), the leading American scientist after Benjamin Franklin until Willard Gibbs, was a professor at Princeton from 1832 to 1846. His chief scientific contributions were in the field of electromagnetism, where he discovered the phenomenon of self-inductance. The unit of inductance, called “the henry,” immortalizes his name. Of Scottish descent, Henry was the son of a day laborer in Albany, N.Y. As a small boy he was sent to live with his grandmother in a village about 40 miles from Albany. There he worked in a general store after school hours and at the age of thirteen was apprenticed to a watchmaker. As a young man he became interested in the theatre and was offered employment as a professional actor, but in 1819 several well-positioned Albany friends persuaded him instead to attend the Albany Academy, where free tuition was provided. His interest in science had already been aroused by a chance encounter with a popular scientific book, and by 1823 his education was so far advanced that he was assisting in the teaching of science courses. By 1826, after a stint as a district schoolteacher and as a private tutor, he was appointed Professor of Mathematics and Natural Philosophy at the Academy. Here, in spite of a teaching schedule that occupied him seven hours a day, he did his most important scientific experiments. Henry had become interested in terrestrial magnetism, which was then, as today, an important scientific topic. This led him to experiment with electromagnetism. His apprenticeship as a watchmaker stood him in good stead in the construction of batteries and other apparatus. Oersted and others had observed magnetic effects from electric currents, but Henry was the first to wind insulated wires around an iron core to obtain powerful electromagnets. In experimenting with such magnets, Henry observed the large spark that was generated when the circuit was broken, and he deduced the property known as self-inductance, the inertial characteristic of an electric circuit. The self inductance of a circuit tends to prevent the current from changing; if a current is flowing, self-inductance tends to keep it flowing, or if an electromotive force is applied self-inductance tends to keep it from building up. Henry found that the self-inductance is greatly affected by the configuration of the circuit, especially the coiling of the wire. He also discovered how to make non-inductive windings by folding the wire back on itself. While Henry was doing these experiments, Michael Faraday did similar work in England, Henry was always slow in publishing his results, and he was unaware of Faraday’s work. Today Faraday is recognized as the discover of mutual inductance (the basis of transformers), while Henry is credited with the discovery of self-inductance. In 1832, when Henry was 35, Yale’s distinguished geologist Benjamin Silliman was consulted regarding the possible appointment of Henry to Princeton. Henry’s initial salary at Princeton was $1,000 per annum plus a house. The Trustees also provided $100 “for the purchase of a new electrical machine &co.
Henry was a notable acquisition, and he found the lighter teaching schedule and the intellectual companionship at Princeton congenial, especially when his brother-in-law Stephen Alexander joined the faculty to teach astronomy. Henry worked with Alexander in the observation of sunspots and continued his own work on magnets, building for Princeton an even larger magnet that he had built for Yale, one that would life 3,500Pounds. A similar arrangement was used by S.F.B. Morse in the invention of the telegraph; Morse had consulted Henry and had used one of his scientific papers. Later, Henry was called to testify in a patent suit involving the telegraph, Morse vs. O’Reilly. The College gave Henry an opportunity, then unusual, to travel abroad on leave at full salary. In 1837 he met Faraday, Wheatstone, and other British scientists, to whom he explained his idea of “quantity” and “intensity” circuits (low and high impedance, in modern terms). During his remaining years in Princeton Henry continued his electrical investigations, but also branched out into the study of phosphorescence, sound, capillary action, and ballistics. In 1844 he was a member of a committee to investigate the explosion of a gun during a demonstration on the new U.S.S. Princeton. His experiments on gun castings on his committee led him into the subject of the molecular cohesion of matter. In 1846, having received from an Englishman, James Smithson, a large bequest for the founding of an institution “for the increase and diffusion of knowledge among men,” the U.S Congress established the Smithsonian Institution. He was reluctant to leave Princeton and the opportunity to do his own scientific investigations. But he finally accepted and threw his enormous energy and knowledge and experience into the development of the Smithsonian, which became the first great driving force in the organization and direction of American science. Henry was one of the original members of the National Academy Sciences and served as its second president. He was also a trustee of Princeton and president of the American Association for the Advancement of Science. When he died in 1878 his funeral was attended by the president of the United States with his cabinet, the chief justice and associate justices of the Supreme Court, by many members of both houses of Congress, and by many scientists and other illustrious personages. laboratory facilities housed in Jadwin and Palmer Halls and the Elementary Particles Laboratory should be collectively known as the Joseph Henry Laboratories. In Washington his statue stands before the old Smithsonian Building.